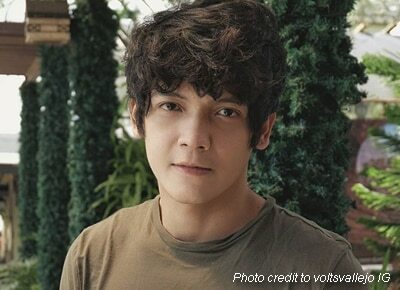 Volts Vallejo was discovered through One Music PH’s Be Discovered section and signed as their first contract artist. Remember the guy behind the Vince and Kath and James song “Hey Crush”? Well, he has been officially introduced as online music portal One Music PH’s very first contract artist. Before his big break, Volts Vallejo said that he was just uploading song covers on YouTube. One Music discovered him through their section, Be Discovered – a user-generated platform where aspiring performers can showcase their talents by uploading their videos. He is currently working on his first album where people can expect original songs they can relate to. “Ayokong gumawa ng song na parang generic lang. Gusto ko ‘yung song na gagawin ko is makakarelate ‘yung mga tao tapos lalagyan mo pa ng magandang melody,” adding that he is more inclined to pop and soulful songs, as well as ballads.